2 Bedroom House For Sale in Croydon for £400,000. and Bromley. The Accommodation comprises a large kitchen/living space with beautifully appointed fully fitted modern kitchen with Siemens appliances and Granite work surfaces. The living room has a Juliette balcony overlooking the rear communal grounds. There are two bedrooms with master boasting an ensuite shower room. The bathrooms are stylish and contemporary with modern suites and sanityware, Porcelanosa floor and wall tiles and elegant fittings. Other benefits include carpeted bedrooms, engineered wood flooring, under floor heating with nest thermostat, MVHR ventilation system and UPVC double glazing throughout. This stunning apartment also comes with a 10 year build warranty provided by the developers. Now fully completed and ready for immediate occupation. 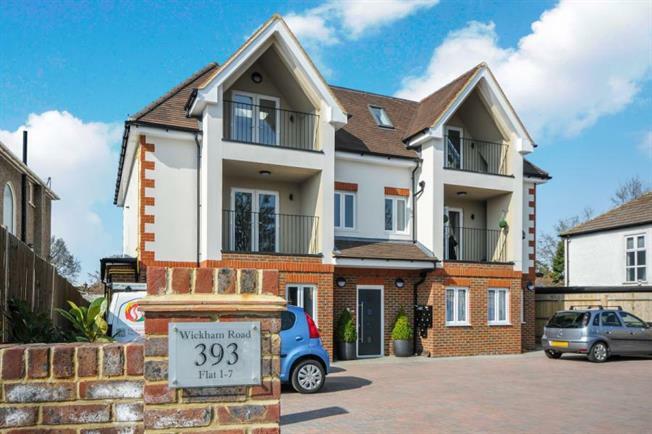 Call our Shirley office on 020 8777 6666 to reserve this apartment today.